Mody School, Laxmangarh is one of the premier schooling institution of the country. It is exclusively an all girl’s school which is affiliated to CBSE, New Delhi. 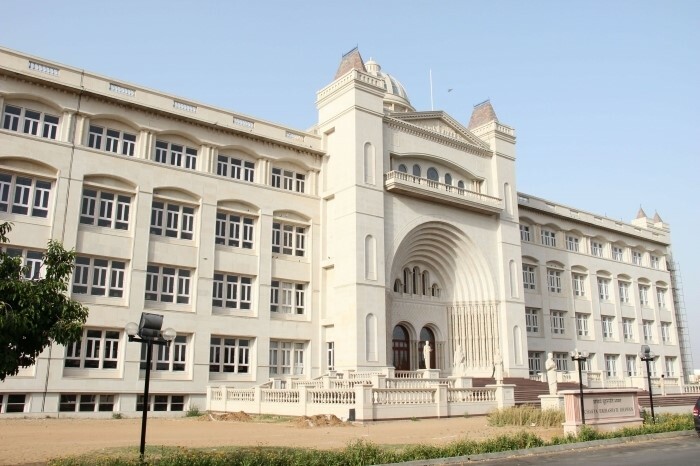 The school was established in 1989 by Sri Rajendra Prasad Mody and brings together girl students from all across the country to provide them world class environment that can support in realising their potential. The school believes that learning to live and work together can prove to be a great experience for the young students and thus is committed to bring the international dimension to its curriculum. The school has always taken intiative in encouraging its students to take up career of their choice and following the tradition, the school recently conducted a career counselling event for their students which was highly appreciated by the students. The event was conducted from 6th-9th September, 2016 in the school campus. It was started with a motivational talk with students and an open discussion on various career options available in the Indian economy. The session was conducted by Ms Surabhi Dewra, CEO of CareerGuide.com. The students were duly guided regarding the benefits of career counselling and further, different measures of career assessment tools and their importance was explained to the students. Following the session, career assessment test was conducted for all the students participating in the event in their respective classes. The session was highly informative for the students since they were not only introduced to career counselling but the session also led them to understand what their talents were. 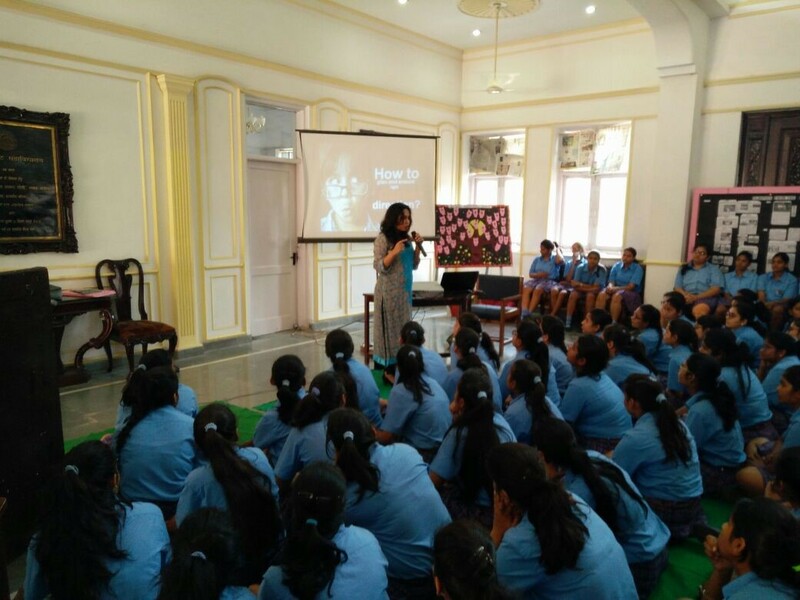 This session was then followed by one on one career counselling with the students with Careerguide’s renowned career counsellors Ms Shilpa and Ms Pratibha. This took place on the second and third day of the event. In two days, 226 students were counselled. 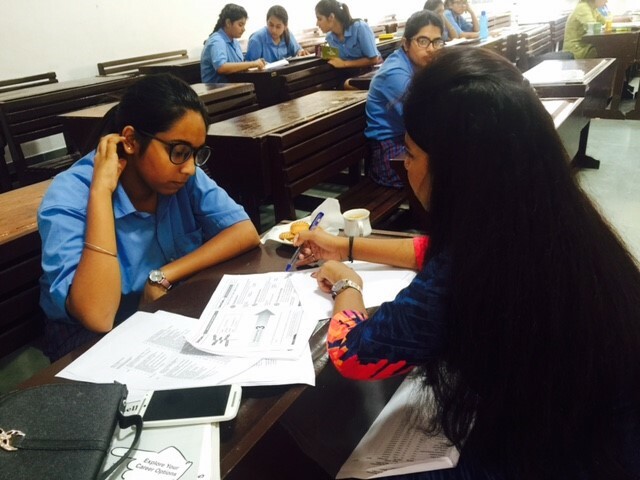 The individual counselling session allowed the students to discuss their passions and dreams with the counsellor. Further, the counsellor used the results of their career assessment test that was conducted on the first day. Combining the results from the test and individual discussion with the student, the counsellor guided the students on which career field they should opt for. Along with this, the students were also guided regarding the admission procedure in their respective ideal career options. The response of the students was overwhelming after the session. They felt more confident of themselves and their talents. They were now more focussed and career oriented than before. One of the student Priyanka Chandak of 12th standard said that she found the session very informative and this session helped her to realise her potential and skills which she can use for making a right career choice. Another student Shikha Aggarwal said that she felt lucky to be guided regarding the right career options for her at the right time. Further she believes that taking a career counselling session is very important for a student as it can help them build a career according to their potential.